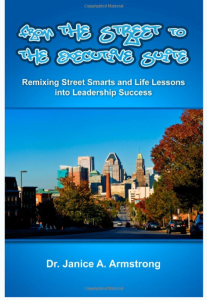 Dip into the mind of this Baltimore native and author as she shares leadership concepts from her experiences growing from person to professional. The book not only allows the reader to determine his or her own potential and leadership development opportunities, but it also offers the reader some leader lessons learned and the opportunity to develop action steps toward success. Additionally, this book offers 5 chapter activities and an action plan that serve as valuable tools for life planning and development. The book is written so that any person, from student to executives, can understand and apply leadership concepts to their lives. The memories used in the book are those to which anyone can relate, offering an added appreciation for lessons learned in life.